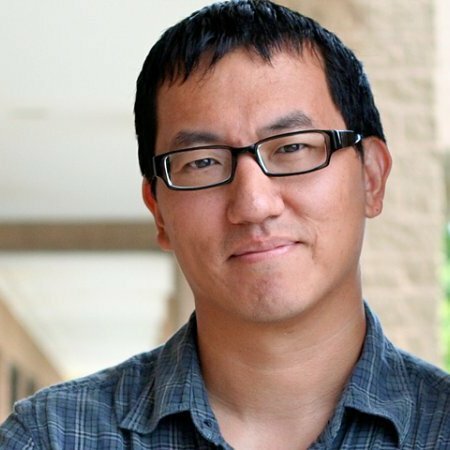 Since its inception, iOS has provided a wide array of accessibility features designed to make it easier for those with vision, hearing or mobility impairments to operate and interact with their phones. These features are tucked away under Settings, and are often overlooked, but there are several features that can be useful to everyone. This feature is helpful for anyone with an iPhone whose Home button is either broken or acting unreliably, which can sometimes occur on older phones. To get to it, go to Settings > General > Accessibility. Under the Interaction heading, tap AssistiveTouch. This enables a floating button on your screen that you can drag anywhere, and which will always appear on the screen regardless of the app you’re using. 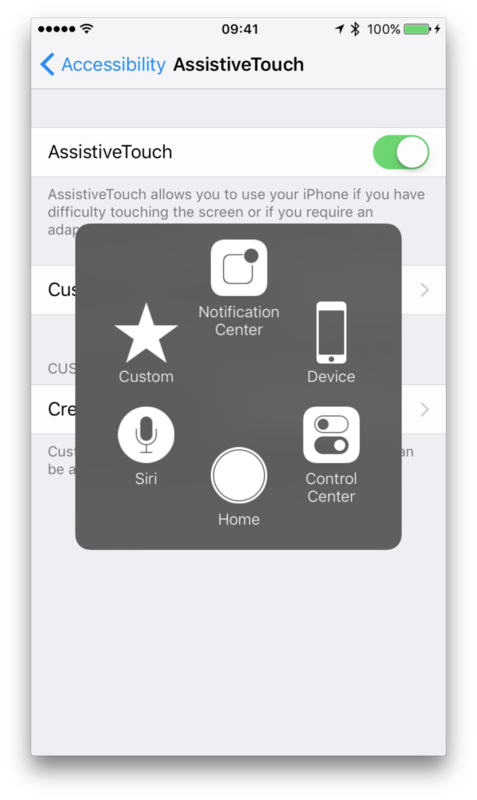 Tap the button to open the AssistiveTouch menu. Here you’ll find on-screen buttons to perform a variety of common tasks and gestures. For example, tapping the Home button on screen is the same as pressing the physical Home button on your device – tapping it once takes you to your Home screen, tapping it twice opens the multitasking view, pressing and holding it invokes Siri, and so on. You’ll also find buttons to open Control Center and Notification Center, so you don’t have to swipe up or down from the bottom or top of the screen to open them. Tap the Device button to find buttons to lock and rotate the screen. Tap the Custom button to find shortcuts to perform gestures and actions like pinching or double-tapping. 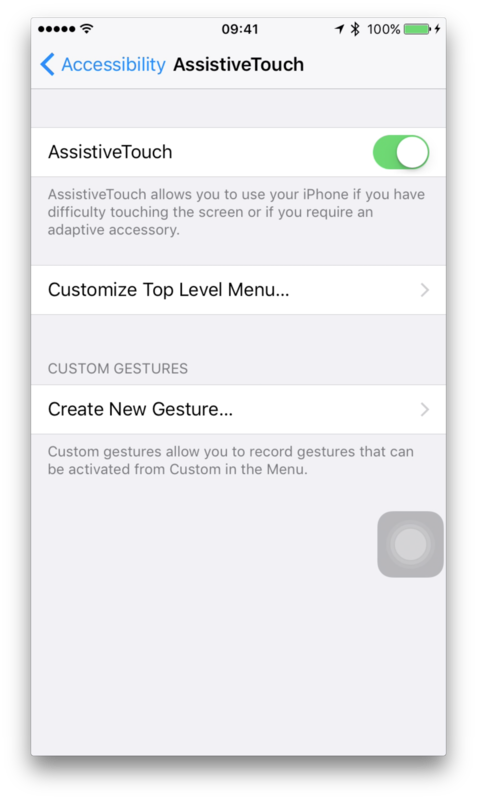 Even if your phone’s Home button isn’t malfunctioning, you might want to try enabling AssistiveTouch because it allows you to perform many gestures with a single finger – perfect for when you need to control your device with one hand. If you upgraded to iOS 10 from a previous version of iOS, you probably noticed that the iconic Swipe-to-Unlock gesture has been removed in iOS 10. No longer do you swipe your screen from left to right to unlock your device. Instead, you first wake the phone by pressing either the Lock or Home button and then pressing the Home button again, at which point you either enter your passcode, or, if you have TouchID enabled, you hold your finger on the Home button to unlock the device. But, if you’re using TouchID, you can eliminate the step of having to press the Home button twice. First, go to Settings > General > Accessibility > Home Button. Then enable the switch labeled Rest Finger to Open. With that switch on, anytime you want to unlock your phone, just press the Home button once and keep your finger in contact with it for a second. Your device should unlock without the need to press the button a second time. 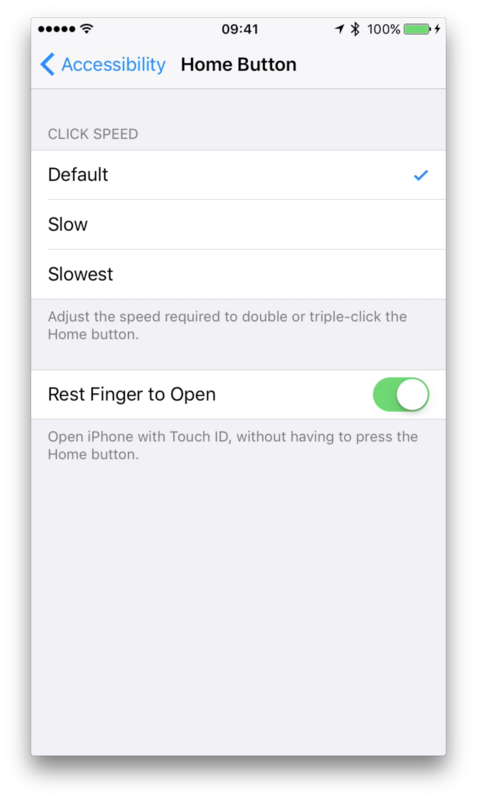 Additionally, if you have an iPhone 6s or later, you can go to Settings > Display & Brightness and enable the Raise to Wake switch. With that on, your phone will wake up any time you lift it with the screen face-up, and you’ll be able to unlock it just by touching the Home button without the need to actually press it. This feature is invaluable for people who have difficulties hearing their phone ringing, but is also useful for anyone who needs an additional way to be alerted to an incoming call, such as in loud environments or when the phone is silenced and the vibration might not be enough to notify the user that a call is coming in. With LED Flash enabled, the flash on the iPhone will rapidly blink on-and-off when the phone rings. 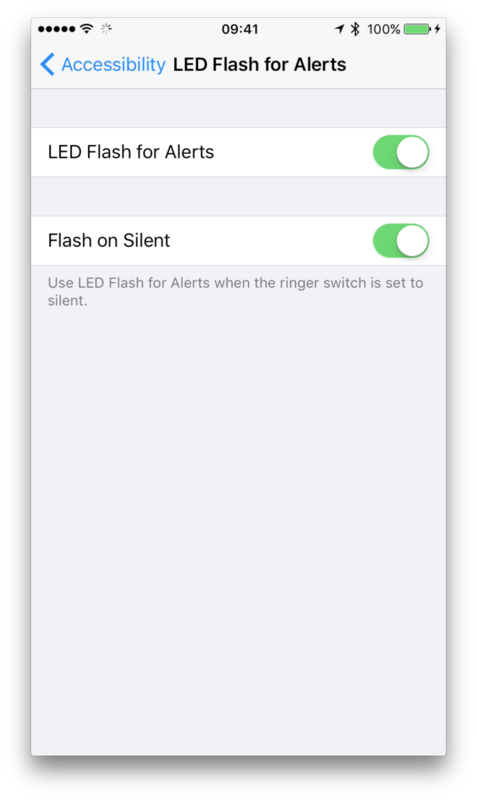 To turn this feature on, go to Settings > General > Accessibility, and under the Hearing section, tap LED Flash for Alerts. You can also turn on the Flash on Silent switch, if you want the flash to blink only when your phone is in Silent mode. Once LED Flash for Alerts is enabled, just remember to leave your phone screen down if you’re expecting a call. Be aware though that the flash won’t blink if you’re using your phone when a call comes in – this feature only works when your screen is off or locked. This feature turns your phone’s camera into a digital magnifying glass by zooming into whatever you have your camera pointed at. Yes, you could do this yourself by opening the regular Camera app and zooming in with a pinch gesture, but the Magnifier automatically zooms in to a default level and can be enabled with a quick triple-click of your Home button. 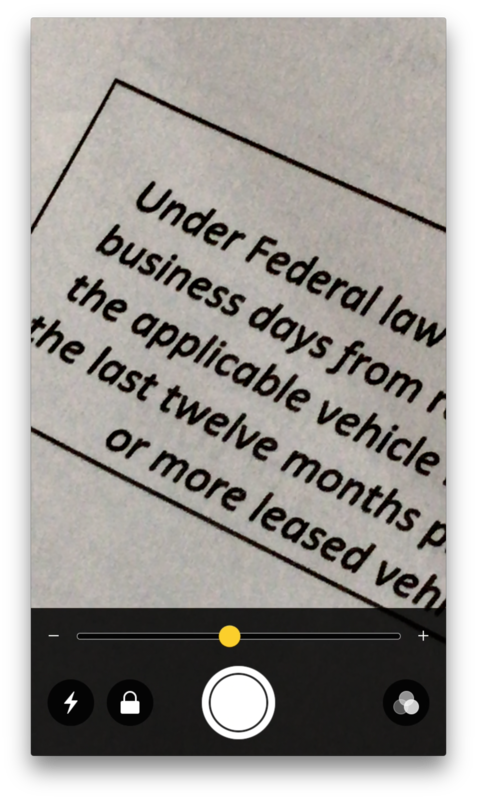 Go to Settings > General > Accessibility and under the Vision section, tap Magnifier. 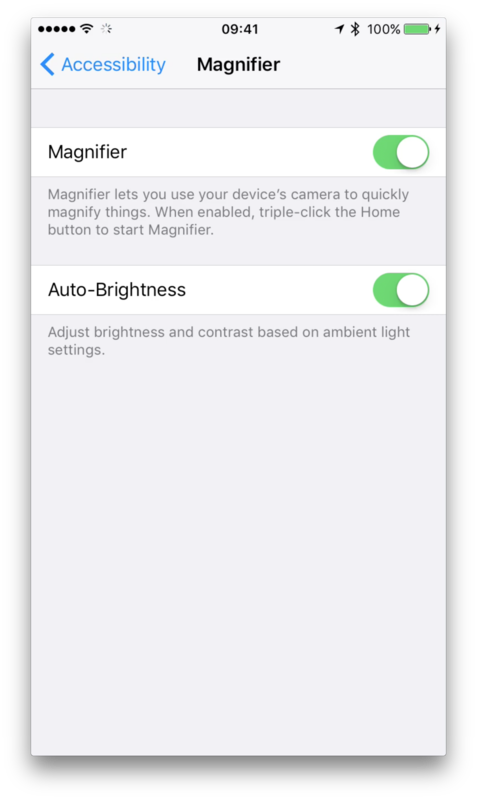 You can also turn on Auto-Brightness to have the camera try to find the best brightness and contrast based on the ambient lighting. Once that’s set, anytime you need to take a closer look at something, like a menu in a dark restaurant or the fine print in a contract, triple click your Home button. 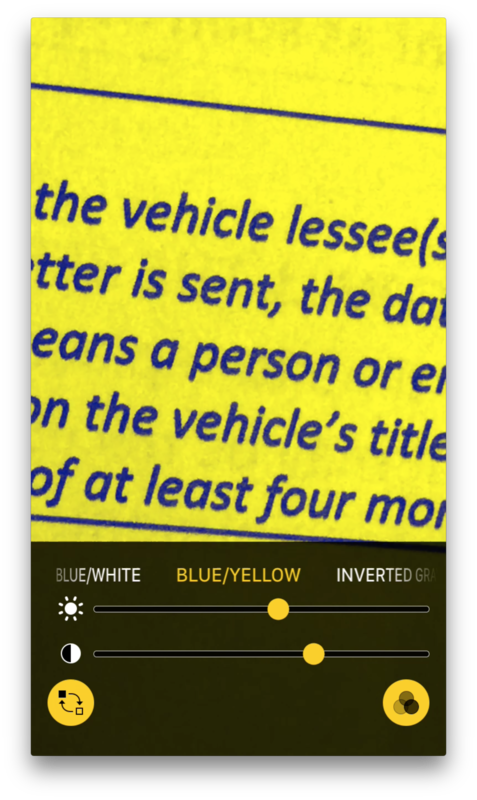 You can then use the camera in a “live” fashion, by holding it over whatever it is you’re trying to see, or you can tap the shutter button to take a temporary still photo, making it easier to read the zoomed-in image without having to hold your phone steady. Use the Zoom slider to adjust the magnification level. The flash button will turn the flash on if you need more light. The Lock icon will lock the focus. And the color button on the far right allows you to invert or adjust the color, which can provide more contrast in situations where you’re having trouble distinguishing words or details in an image. When you’re done with the Magnifier, just press the Home button again to close it. 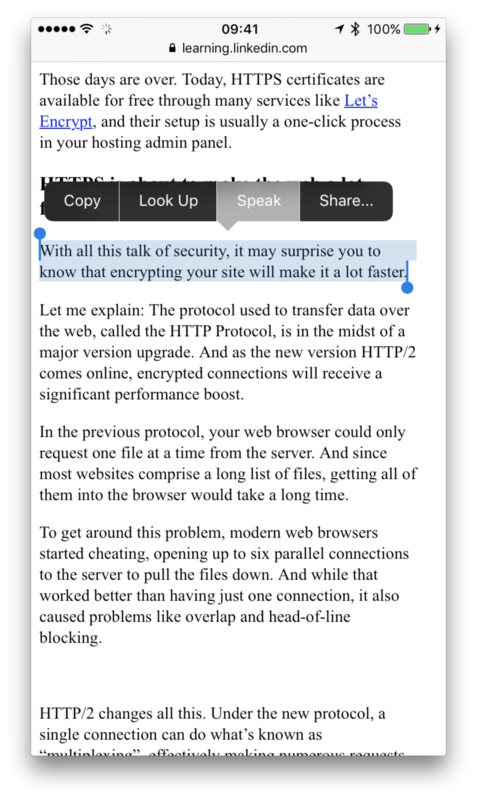 Another useful Accessibility feature of iOS 10 is its ability to speak the text on your screen. Obviously, this was created to help those with vision impairments, but can be useful for anyone who wants to have their phone read the text on their screens, which can come in handy when you can’t look at your phone, or perhaps when you’d prefer to have a long email read to you. When activated, you’ll immediately hear your phone reading the contents of you screen to you, and you’ll see an overlay with controls allowing you to adjust the rate of the speech and to jump forward or backwards. If you’d like to adjust the default Speaking Rate, go back to the Speech settings and use the Speaking Rate slider you’ll find there. 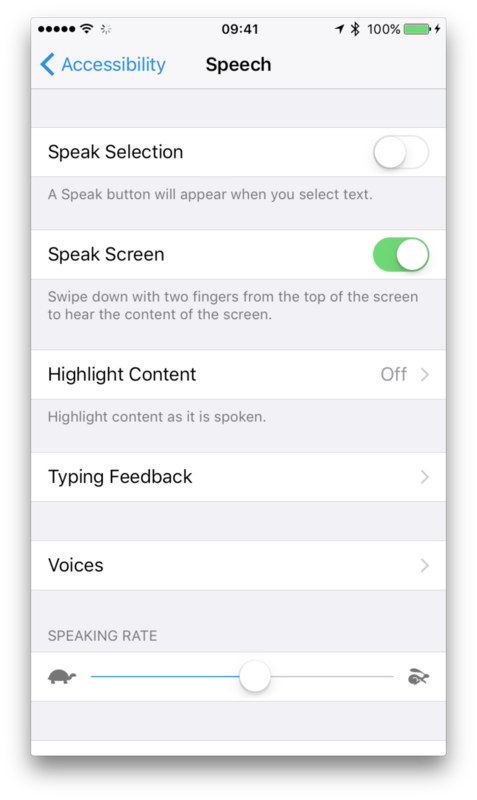 Additionally, new to iOS 10, you’ll also find the Speak Selection switch under the Speech settings. 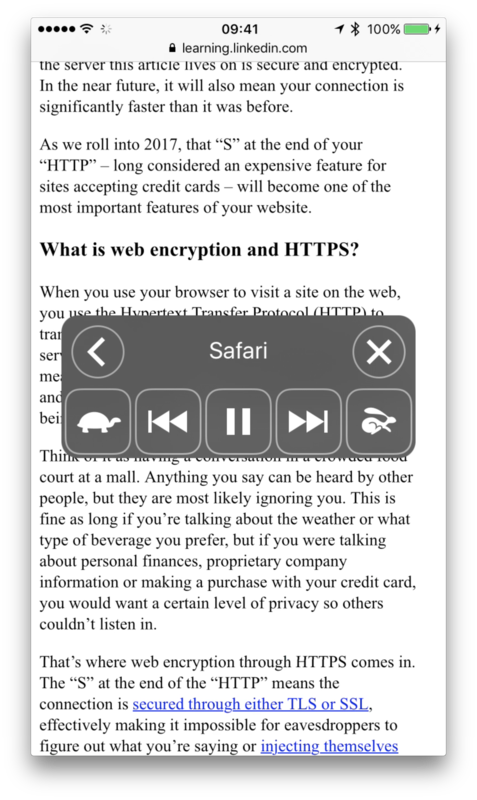 When enabled, anytime you highlight text on your device, one of the options that appears is Speak, which you can tap to have your phone read just the selected text to you. Again, the accessibility features covered here, as well as the many others found under the Accessibility settings in iOS, were designed primarily to assist those who have difficulties operating their phones in ways that many people take for granted. But, as we’ve seen here, several of these features can be useful to any users looking to gain a little more control or functionality from their devices. For in-depth coverage of iOS 10, be sure to check out the course iOS 10: iPhone and iPad Essential Training.